The 28-year-old has beaten the likes of Kareena, Katrina and others to win the coveted title. Read to find out who was named first and second. Fashion precedes Nia Sharma in a room. Be it donning those daring lip shades or sporting the boldest necklines and slits, Nia’s sense of dressing up and down is second to none in her business. Nia is best remembered for her playing Roshni Patel in Jamai Raja and has headlined several other shows. Adding another feather to her already crowded hat, she was named not once but thrice in a row amongst Asia’s top three sexiest women. In an annual poll conducted by a UK-based weekly newspaper, Nia was declared as the third Sexiest Woman of Asia in the year 2018. The TV star fell from the second position which she held in 2017; for Nia took a beating from Deepika Padukone. However, she maintained her ranking in the top three by elbowing aside Katrina Kaif, Alia Bhatt, Kareena Kapoor Khan and many more. The 28-year-old enjoys a following of 2.5 million on her Instagram handle and often treats her fans to some jaw-dropping snaps. Be it the NYC street style clothing or the fancy gowns on red carpets, there’s not a trend our girl hasn’t looked phenomenal in. It wouldn’t be wrong to say that the sleek beauty is synonymous with prim, posh and nothing basic. Nope friends, this one’s not your regular pretty face, for the starlet brings more to the table that is expected of her. On a scale of 1-10, how big are you a fan of Nia Sharma? Show your love by giving her a shoutout in the comments box below! 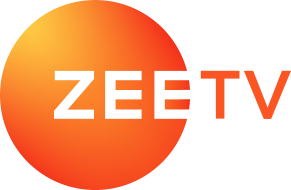 Stay tuned to never miss a beat about your latest and favourite Zee TV shows on ZEE5. We Dare You To Watch Zee5 Original Parchayee: Ghost Stories By Ruskin Bond Alone!